24" Battery Operated Indoor/ Outdoor Wreath with 35 Dual Color LEDs (Switch Between Warm White and Multicolor), Red Berries and Pine Cones; Built-in 6hr/24 hr Auto-Restart Electronic Timer. Unlit Red Bow Included. This wreath light made from realistic PE/PVC. If one light goes out the rest stay lit. Lights are strung together with a thinner wire so it's hardly visible within the wreath Fire-resistant and non-allergenic Includes replacement bulbs and fuses. 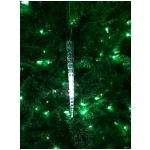 Battery operated wreath lights are our best selling item. Turn it on, and the timer is set! Included instruction sheet may possible say "Indoor use only". This is incorrect, the wreath can be used both indoors and outdoors. Requires 3 AA batteries (not included). 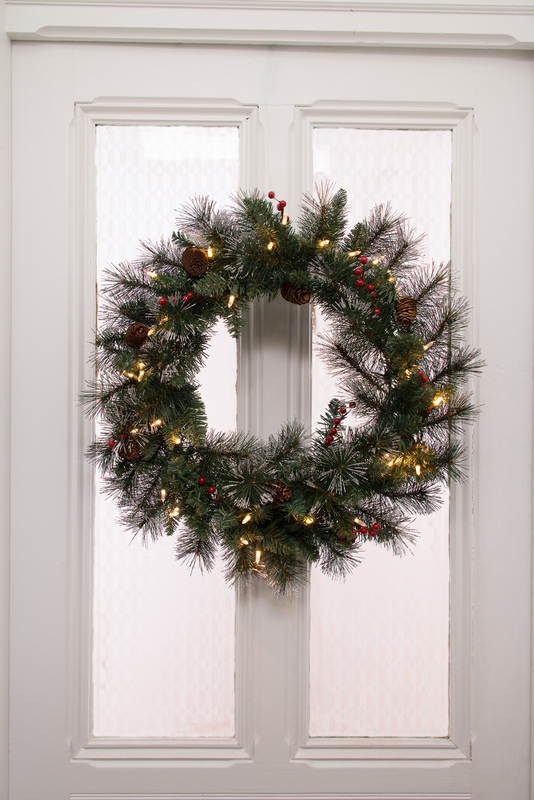 Our dual color 24-inch diameter wreath has a hidden electronic timer. On this wreath each of the 35 individual LED’s have warm white color built in, and of the total 35 LED lights, ten are switchable from white to green, 8 are switchable from white to red, 8 are switchable from white to yellow, and 8 are switchable from white to blue. One switch on the battery box turns all the LEDs from white to the four other colors, and pressing the switch again changes the color of all of the LEDs back to warm white. 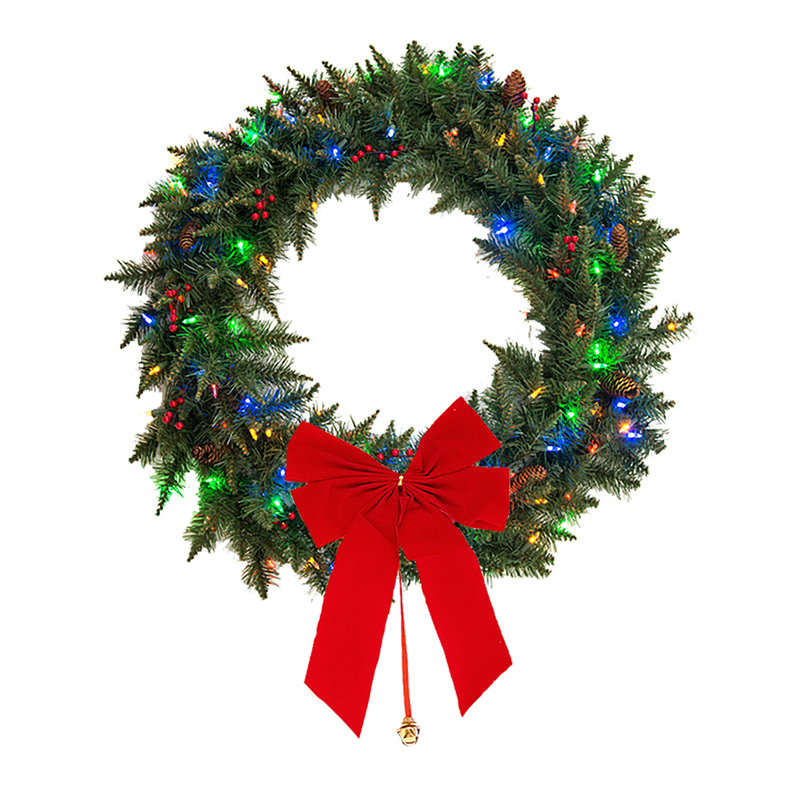 We at Mr. Light also offer pre-lit wreaths and realistic nine-foot long pre-lit garlands. Our wreaths come in 18-inch, 24-inch, and 36-inch sizes, with various choices of the number and colors of the included LED lights. Each wreath is hand made with natural looking berries and pine cones. Your guests will be touching them in order to be sure if they are made from real pine trees, because they are so natural looking, and realistic. 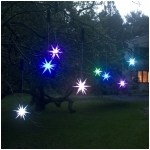 Our lighted wreaths are all battery-operated, with weatherproof battery compartments that are suitable for indoor and outdoor use, and with hidden internal electronic timers for 6 hours of light per evening, then off for 18 hours, and back on at the original start time each following evening. Lasting time using normal AA batteries will exceed 30 days before the batteries need replacing. 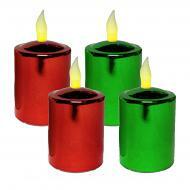 The weatherproof battery compartments mean that Mr. Light’s wreaths are suitable both for indoor use and outdoor use. 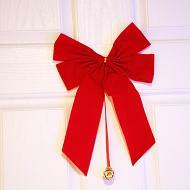 Our unlit wreaths also come with removeable velvety red bows to brighten things up for the holiday season. 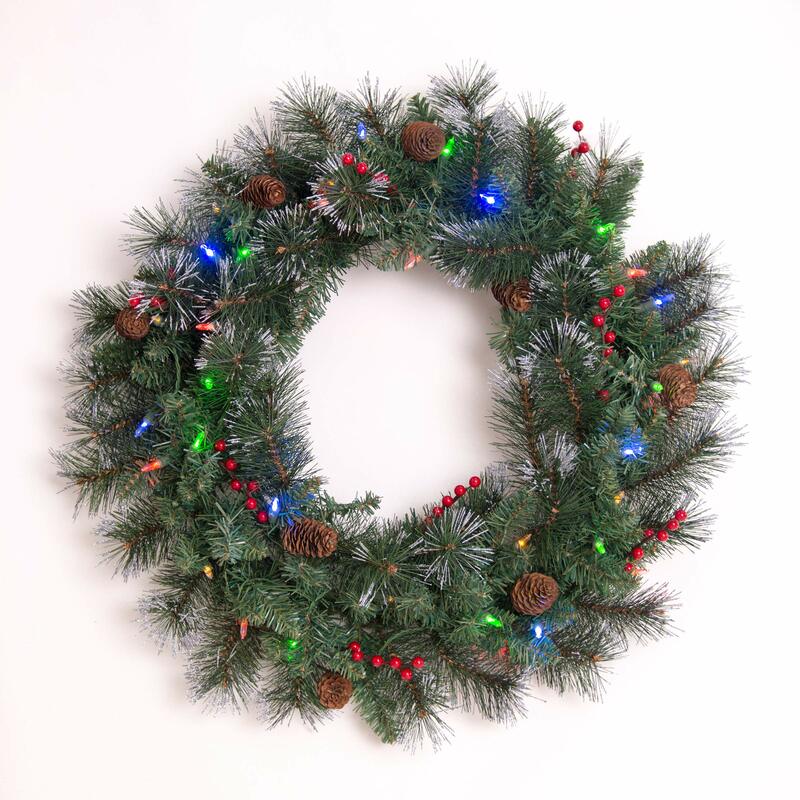 Most impressive is our dual color 24-inch diameter wreath, also with hidden electronic timer. On this wreath each of the 35 individual LED’s have warm white color built in, and of the total 35 LED lights, ten are switchable from white to green, 8 are switchable from white to red, 8 are switchable from white to yellow, and 8 are switchable from white to blue. 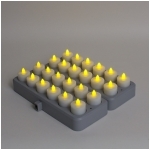 One switch on the battery box turns all the LEDs from white to the four other colors, and pressing the switch again changes the color of all of the LEDs back to warm white. 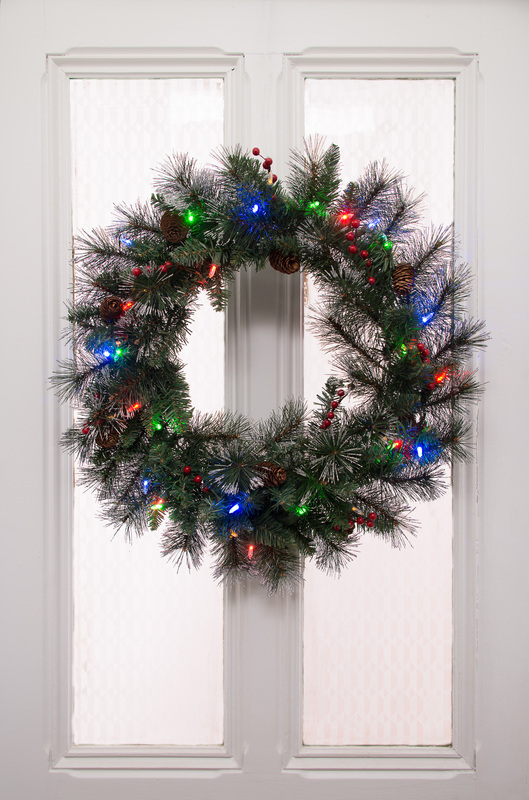 Similarly, our dual color 36-inch wreath has 70 LEDs switchable between white and in multi-color mode red, green, yellow, and blue. 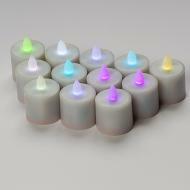 Change from white to multicolor whenever you wish, and as the mood strikes you.